Dr. Joel Laudenbach graduated from The Haverford School for Boys in June 1990 and received his Bachelor of Arts in Biology from Lehigh University in May 1994. He attended the University of Pennsylvania, School of Dental Medicine and received his D.M.D. (Doctor of Dental Medicine) in May 1998. He completed a hospital general practice residency program at Cedars-Sinai Medical Center in Los Angeles, CA in June 1999. Academic appointments in Los Angeles between 1999 and 2002 included the University of Southern California and UCLA Schools of Dentistry. While at USC, he was a pre-clinical, restorative instructor teaching pre-doctoral students. While at UCLA (2000-2002), Dr. Laudenbach was the Director of the Oral Diagnosis & New Patient Admissions clinic, a lecturer, and an academic administrator. Dr. Joel Laudenbach has lectured for the Cedars-Sinai Medical Center general practice residency program. In addition to academia, Dr. Joel Laudenbach maintained a private practice of general dentistry in Santa Monica, CA until May 2002. Dr. Joel Laudenbach began the Oral Medicine Fellowship program at the University of Pennsylvania, School of Dental Medicine in June 2002. The Oral Medicine Fellowship provides training in the treatment of patients with complex medical diseases (including chemotherapy and radiation therapy), oral mucosal disease, temporomandibular joint dysfunction, myofascial and orofacial pain, and salivary gland dysfunction. In July 2003, Dr. Laudenbach commenced the Geriatric Dental Medicine Fellowship through the Hospital of the University of Pennsylvania and Institute of Aging at the Ralston-Penn Center. These two fellowship programs were completed in June 2004. In July 2004, Dr. Joel Laudenbach was recruited by Columbia University School of Dental and Oral Surgery in New York, NY. He was an Assistant Professor and the Director of Geriatric Dentistry, as well as an appointed attending and Dental Director on the staff of New York-Presbyterian Hospital. In July 2005, he was appointed to the faculty of the University of Pennsylvania, School of Dental Medicine in the Department of Oral Medicine as a Clinical Assistant Professor and the Director of the Geriatric Oral Medicine residency program. He was previously the President of the Philadelphia Alumni Chapter of Alpha Omega International Dental Fraternity. Currently, Dr. Joel Laudenbach practices Oral Medicine privately in Center City Philadelphia. He is an Oral Medicine consultant for InteliHealth.com / Columbia University College of Dentistry and a lecturer for dental schools, hospitals, private practices/offices and continuing dental/medical education courses. Dr. Joel is an Assistant Professor in the Department of Oral Medicine and Diagnostic Sciences and is Clinic Chief of Hospital and Geriatric Dentistry at the University of Illinois at Chicago, College of Dentistry. 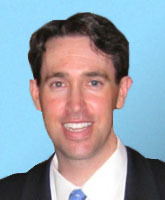 Dr. Joel Laudenbach is licensed in Pennsylvania, New York, Illinois and California.